Sunday, July 22, 2018 — Despite the perpetually cloudy sky and the occasional torrential rainfall, Ali, Russell, Margo, Linda, and I entered New York City on with a bright attitude toward the conversations to come—I was eager to meet with several of our NYC-based collaborators, professionals from different areas of expertise, yet who all shared similar goals of illustrating and advocating for Asian American experiences. The afternoon of our arrival, we met with Megan Elevado, design and culture historian and part-time faculty member at Parsons The New School for Design, as well as Kevin Chao and Kenneth Lian, the creators of MSG, a fashion brand focused on celebrating Asian American identity and subverting misconceptions of Asian motifs that are typically seen through an unfavorable lens (i.e. 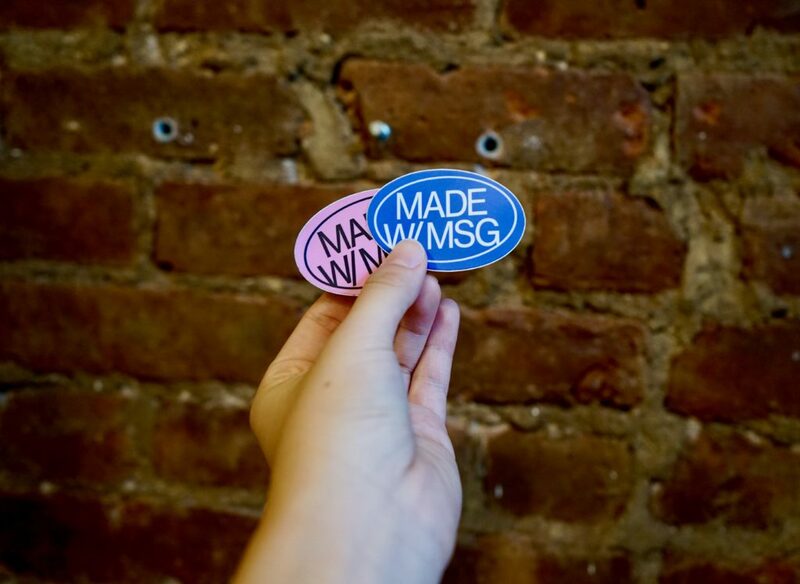 the preservative MSG, the “Made in China” label), achieved through their distinctive clothing style. 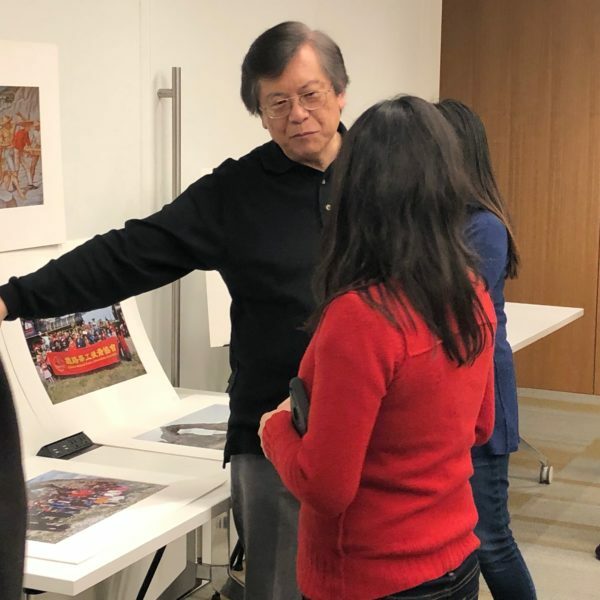 The next day, we headed to the Chinese-American Planning Council (CPC) headquarters to see Chief Strategy Officer Simon Chiew and Strategic Associate Brenda Choy. 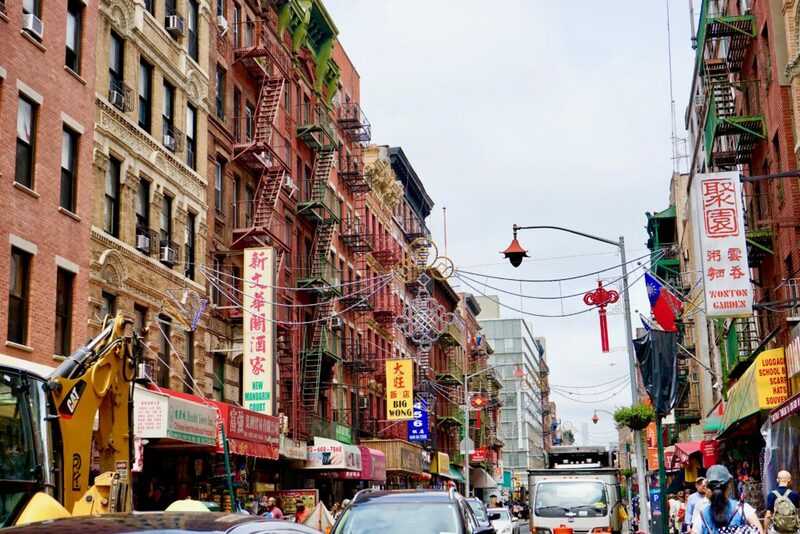 The CPC is dedicated to providing services for low-income families and recent immigrants in Chinatown. 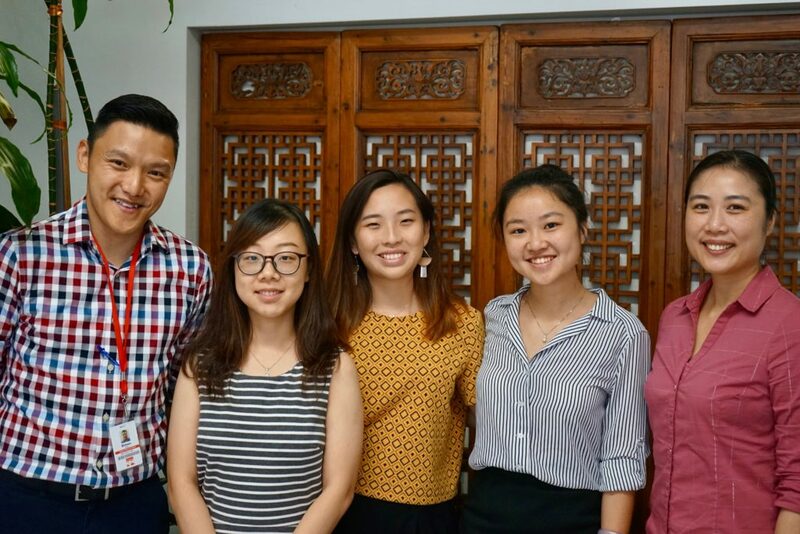 As Simon and Brenda relayed the CPC’s efforts to expand their reach to include a more diverse range of clients in the midst of Chinatown NYC’s changing population, we noted the steps they took to adapt their branding and objectives to fit their new target audience—such as accepting other ethnic groups that reside within Chinatown or displaying support for LGBTQ+ members of the community. The CPC’s strategy serves as a model of flexibility and inclusivity that 1882 can hopefully emulate as we recraft our mission and reconsider our outreach. 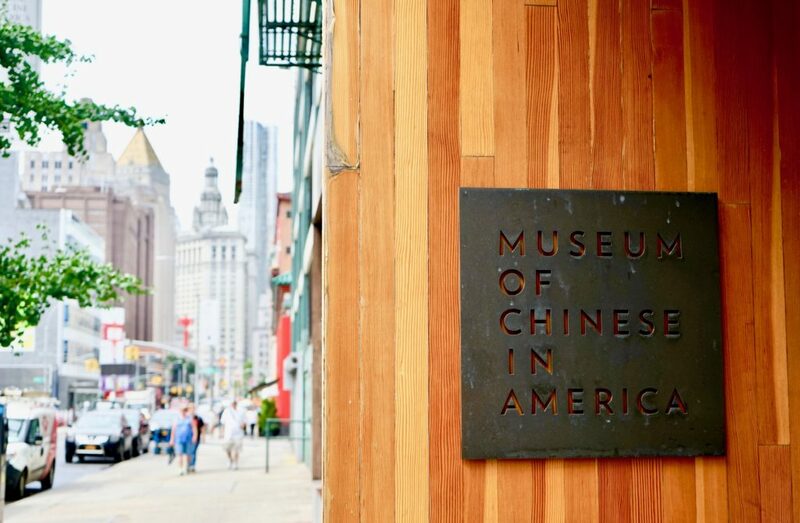 After, we made our way to the Museum of Chinese in America (MOCA) to discuss the future of our collaboration with Tenement Museum through the Your Story, Our Story (YSOS) project and the 50 Objects initiative, as well as facilitating connections between Tenement Museum and MOCA. I was particularly interested by the discussion of not only maintaining a space for digital representations of stories online, but also remaining rooted in and enhancing physical sites of storytelling in museums and exhibits. Listening to the members of our meeting exchange thoughts and build off of each other’s ideas, I could see how a collaborative space of interested individuals can generate novel ideas that advance each of our objectives. 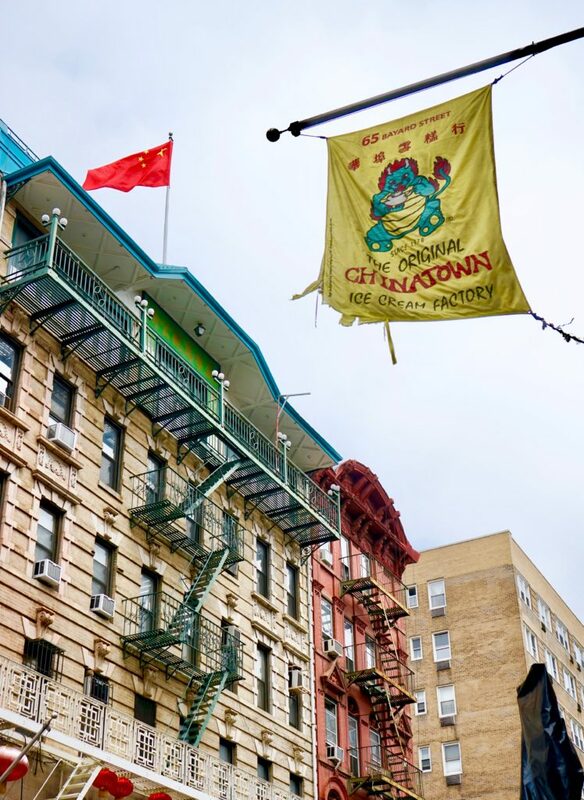 We explored Chinatown for a bit before settling in a bakery for our meeting with Think!Chinatown’s founder, Yin Kong, who aims to support, connect, and tell the stories of small businesses and organizations in NYC Chinatown through design and community engagement. 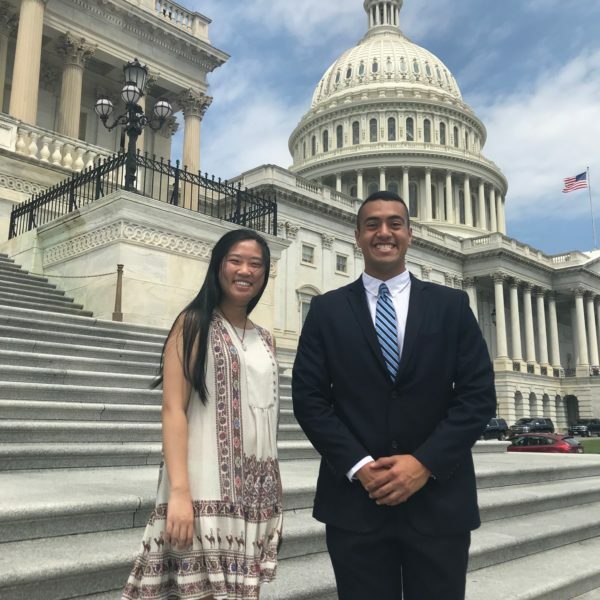 It was especially helpful to compare the Chinatown NYC and Chinatown DC and hear about Yin’s grassroots efforts in Chinatown NYC to strategize how 1882 can better engage with Chinatown DC. These conversations inspired me, both in terms of envisioning how the 1882 Foundation can proceed with collaborators in our collective efforts and visualizing how I can contribute to 1882’s objectives while shaping my own trajectory and developing my own interests. 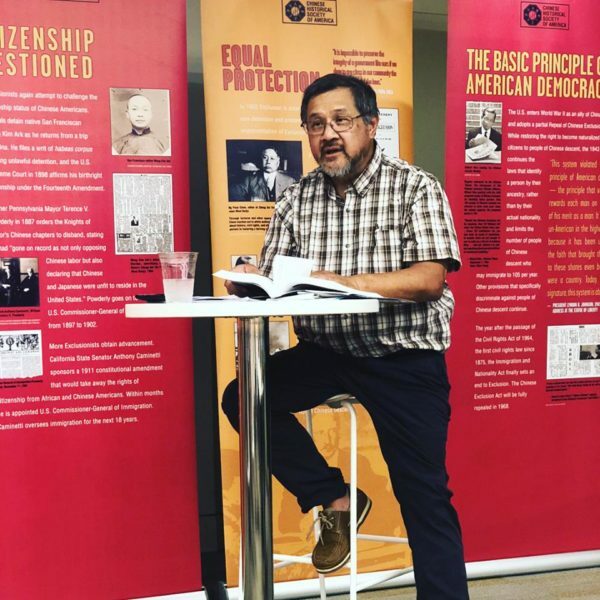 As collaboration is such a central element of the 1882 Foundation’s mission, it was exciting to see our collaborative efforts in action—from discussing the inclusivity of the Asian American identity with MSG, to asking about CPC’s handling of sensitive political topics, to swapping ideas for YSOS with Tenement Museum and MOCA. After these meetings, my mind buzzed with the potential projects and initiatives that the 1882 Foundation could pursue in partnership, perhaps drawing from MSG’s design endeavors or creating an physical and interactive YSOS exhibit enhanced by digital technology with MOCA and Tenement Museum. From a personal standpoint, I was grateful to hear from these professionals—especially creatives like MSG, Megan, and Yin, given my interest in pursuing design/art in the future—and the journeys that led them to their current careers. What struck me the most was the unexpectedness of their paths; despite the twists and turns and detours, they seemed content with their current situations and appreciative of their previous experiences, whether or not these experiences were related to what they are pursuing now. A career, as I’m starting to understand, is an organic, spontaneous progression. It doesn’t have to be limited to one interest and it doesn’t have to be permanent; it stays true your passions, even if those passions lead you in wildly different directions. Around four o’clock, we said goodbye to the bustling streets of Chinatown right as the sun peeked from behind the clouds and cast light onto the overcast afternoon—emblematic of the enlightening discussions from our trip and an encouraging omen for our future collaborations. The time we spent in New York, while brief, was immersive, constructive, and eye-opening—I hope to see more of the city and the valuable experiences it has to offer.